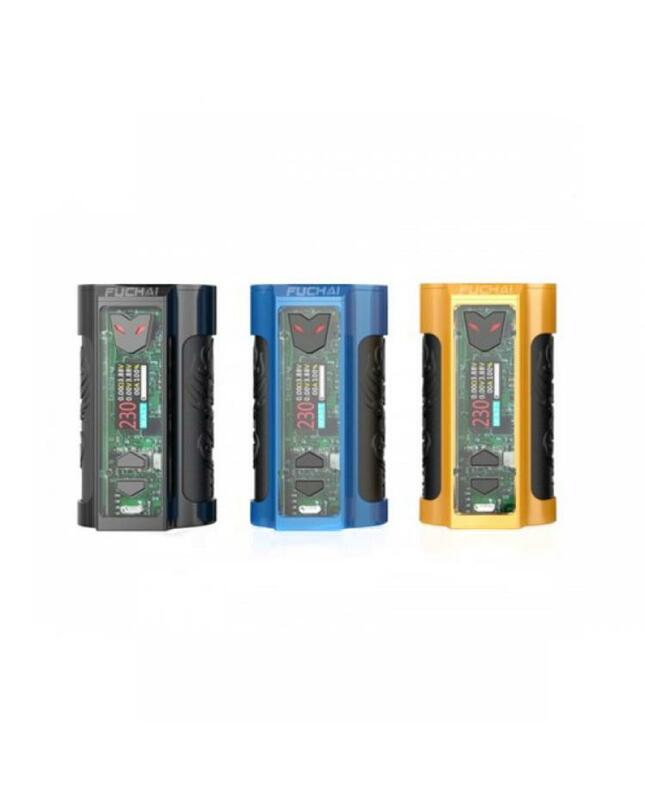 Sigelei fuchai MT-V 230W temp control vape box mods, which is upgraded version of sigelei MT series TC vape mods, made of high quality zinc alloy and stainless steel material, three fashionable colors available, the new sigelei fuchai vape mod powered by 2pcs 18650 batteries and max output 230watts, supports resistance as low as 0.05ohm under temp control mode, vapers can select the different working modes. the MT-V mod with LED light sparkles and creates a sense of outer space, the MT-V vape is precisely constructed with stainless steel framework, wrapping with acrylic glass that surrounds the control area section. the 1.0inch TFT color screen features a vibrant display that will show the full vaping data to vapers. recommend the new sigelei mod works with TFV12 prince tank, ijoy captain x3,geekvape Zeus RTA etc.